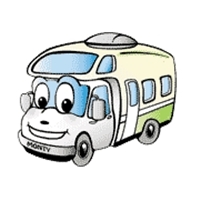 This is the first post in Monty’s Musings to keep you informed about the latest and greatest happenings in the RV rental world. Here you will find RV rental tips and tricks, trip suggestions, fabulous RV rental itineraries, recipies, activities, specials, deals, and more! We will cover things such as the best places to take an RV rental on the east coast. What things you shouldn’t miss if you rent an RV on the west coast? Where should you camp in your’ RV rental if you are in the south. If you take a trip across the northern states, where are the must stop places to eat while you are on the road? All these things and more will be coming your way through Monty’s Musings. If you have any thoughts, comments, suggestions, etc. that you would like us to add to MM please let us know. Thanks to El Monte RV in Dublin who provided 2 brand new slide out motor homes for a photo shoot my team did in Oakland recently. The carriages were very clean and roomy and their customer service was great. Cheryl and Mark set them up for us early in the morning and we very helpful regarding our needs. Great job!